Tommy’s Restaurant is happy to be sponsoring the Heights Holistic Fair on October 12-13! Come join us to learn about options for healthy, sustainable living, helpful products, services and information. And don’t forget to enjoy the yummy food donated by Tommy’s! This event will be fun for the whole family! The next Heights Holistic Fair will be held on October 12 and 13 at the Open Office Community Space, located in the former Coventry School building at 2843 Washington Boulevard in Cleveland Heights. Hours are 10 a.m.–6 p.m. both days. The fair will feature renowned speaker and author Dr. Warren Grossman who will give a talk entitled “Healing Is Natural”, discussing tools for healthier, happier living. He will also lead an interactive workshop, “Strong, Pain-Free Feet”, sharing methods for relieving foot pain and building a strong foundation to support the body. A gentle yoga class will follow the workshop, helping yogis at all levels of ability achieve proper alignment in their poses. The fair will also feature additional speakers both days, presenting several related topics of interest. The holistic fair, co-organized by Cleveland Heights native Judith Eugene and Pat Uhr of Lakewood, will present products, services and information on healthy living options for people of all ages. Vendors will offer products for sale and will provide sample healing treatments. Psychic mediums will be on hand to give personal readings. Performances by various musicians will also be featured. Activities for the kids will include all-ages drum circles, yoga classes, and a tambourine-making project. The fair is being sponsored by FutureHeights, a local organization that promotes a vibrant and sustainable future for Cleveland Heights and University Heights. Tommy’s Restaurant donates the food for each fair, and in turn, Eugene and Uhr donate all proceeds from the food sales to the Heights Libraries. Admission is $5 per day and includes admission to all of the activities and speakers (psychic readings are a small additional fee). Children under 12 get in free. The Heights Holistic Fair is presented jointly by Eugene’s Loving Hands Yoga and Reiki and Uhr’s Harmonic Journeys. For a schedule of activities and speakers please visit www.HolisticFairsOhio.com or call Judith Eugene at 216-408-5578. For information about FutureHeights please visit www.FutureHeights.org or call 216-320-1423. Tommy’s was voted “Best Place to Take The Family” by Future Heights! Thank you to all of our loyal customers. You are the reason we have loved having Tommy’s in the heights for the past 41 years! Thank you for nominating Tommy’s Restaurant for the Nature Conservancy’s People’s Choice Nature’s Plate Award for 2013! We’re honored to have been nominated and are dedicated to spreading the word about the importance of sustainable food. We’re proud to source local food and offer many organic vegetarian and vegan dishes. We’ll let you know when the voting begins! Nature’s Plate Award is a people’s choice online contest in which the public nominates their favorite “GREEN” restaurants. The contest is presented by The Nature Conservancy, a leading conservation organization working around the world to protect ecologically imporant lands and waters for nature and people. We Have Pumpkin Ice Cream! It’s BACK! Stop in today for our popular and delicious Pumpkin Ice Cream! We’re celebrating our 40th anniversary and we want to celebrate with you! While supplies last, you’ll get a FREE Tommy’s anniversary T-shirt with every purchase of a $20 Tommy’s Gift Card! Stop in today! One of the oldest vegetarian-friendly restaurants in the area is Tommy’s Restaurant in Cleveland Heights. It is also without question one of the most popular places to eat since it opened in 1972. As a teen, owner Tommy Fello worked at a soda fountain around the corner, whose Lebanese owner decided to return to Lebanon. But before leaving, he taught Fello how to make some Lebanese specialties served today at Tommy’s, such as falafel, hummus and baba ganoush. The ’60s and ’70s were hippie days, and Coventry Road was a mecca. Fello said many young customers asked for meatless choices then, and that became the focus of his menu. The menu is like a who’s who list, with almost every item named after a person or pet. Tommy’s had kale and escarole way before they were cool. Fello grew up eating escarole and potatoes his mother, Inezz, prepared during Lent. Today he offers the “Jane” pie ($7.95), a large house-made whole wheat dough filled with sauteed chopped escarole, broccoli, potato and cheese. It is served with an excellent salsa side. It is super-tasting and large enough to share. If you are into the kale kick, there’s a marvelous dish of brown rice and veggies ($7.80), labeled macrobiotic and vegan. Brown rice is mixed with steamed kale, scallions, mushrooms and broccoli and served with a side of tamari and toasted sunflower seeds. Falafel is one of my favorite Middle Eastern specialties, and Tommy’s offers more than a dozen variations. The most popular, “Ceebee” ($8.95), is a huge, warm pita filled with a mixture of falafel, veggies, hummus, sunflower seeds and cheese. Both tofu and tempeh are available. The “Delaney” ($9.50) is named after Tommy’s daughter. It is fried tempeh, spinach, mustard, sauerkraut, Swiss cheese and pickles on grilled rye bread. The “Dave” ($9.80) is a tossed salad of greens with baba, pickles, hard-cooked eggs, olives and cheese. The “Lauren” ($11.15) is a spinach salad with hummus, bacon, onion, hard-cooked egg, cheese and tomatoes. There is meat, too, in sandwiches and meat pies. The meat pie ($7.30) is a lamb-beef mix with onion baked in dough. The “Aunt Gay” ($8.40) is the meat pie with sesame sauce, veggies and cheese. French fries ($3.79) are hand-cut daily, fried in canola oil and served in huge portions. Tommy’s servers are trained to assist those with dietary restrictions. If there is a restriction, it is noted on the order to the kitchen. The server checks out the order before it is delivered to the table, too. There are special grilles for gluten-free, and no vegan food touches the meat grille. Since opening, Tommy’s has been known for its milkshakes ($4.99 for 20 ounces). The vegan Tofutti shake ($6.99 for 20 ounces) contains soy, chocolate and vanilla flavors. The breakfast menu is also large. Two eggs, toast and hash browns or bacon are $5.40. Add coffee for $2.29. There are omelets, waffles and pancakes, steel-cut oatmeal, house-made granola, breakfast meats and kashi served hot with bananas. Breakfast hours are 9-11:30 a.m. Monday through Friday, 7:30-11:30 a.m. Saturday, and 9 a.m. to 1 p.m. Sunday. Lunch and dinner are served all day, every day. The restaurant closes at 9 p.m. Sunday through Thursday, and 10 p.m. Friday and Saturday. Tommy’s snagged “runner up” (#2 out of 35) in the 2013 Cleveland Hot List for BEST Healthy Lunch. Thanks for your continued support, Cleveland Voters! From the Owner … Tommy’s serves Breakfast, Lunch and Brunch. Come enjoy our Burgers, Desserts, and a variety of Vegetarian Entrees. We are a Non-Smoking establishment. Take-Out menu available. 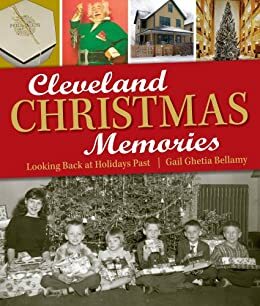 Voters Love … “I’ve been going to Tommy’s for over 20 years and it is hands-down, one of my favorite all-time restaurants in Cleveland…” – Christina P.
Tommy Fello was featured in Cleveland Christmas Memories, Looking Back at Holidays Past by Gail Ghetia Bellamy. What made Christmas extra-special to a Cleveland kid? Come relive some of your fondest moments . . . Seeing Mr. Jingeling (the keeper of Santa’s keys) on TV or in person at Halle’s. Gazing at the giant Sterling-Lindner tree. Stopping at Higbee’s downstairs Frosty Bar for sweet relief after the long line to see Santa. Ice skating on Public Square. A dazzling and elegant Cleveland Orchestra concert at Severance Hall. Mouthwatering treats from Hough Bakery and traditional ethnic flavors from the local market. The brilliant holiday lighting display at GE’s Nela Park . . . Join in as dozens of Northeast Ohioans share their personal stories of Christmas past; includes recollections of people who made Christmas happen, too: former Santas, retail window dressers, entertainers, and of course parents. Cleveland Magazine has named the Elsie Combo as one of the 30 best breakfast sandwiches in Cleveland! Tommy’s cooking up some delicious Black Bean Chili with the hosts of WKYC’s morning show called Live on Lakeside. The Coventry favorite snagged the most votes in this weeks’ Readers’ Choice with 50 percent of the vote. Thanks Patch readers! Tommy’s has also been named the Patch Readers’ Choice winner for Best Sandwich in Cleveland Heights, Shaker Heights and Beachwood. Tommy’s has received Congressional Recognition in celebration of the restaurant’s 40th anniversary. This recognition was read into record on January 24, 2012. Click the image to the right to read the full document. Congratulations, Tommy! Tommy’s is honored to be included in Douglas Trattner’s Scene Magazine’s Article, here’s what he wrote about Tommy’s. There was a time when the epicenter of Northeast Ohio was Cleveland Heights — and more specifically, Coventry Road. And the epicenter of Coventry Road? Well, that would have been — as it is today — Tommy’s. “There is this current trend to create these new suburban lifestyle centers,” owner Tom Fello explains. “Well, Coventry Village is the original grassroots lifestyle center. The reason we call it a ‘village’ is because, in the truest sense of the word, it is.” For four decades, this peace-loving café has been nourishing Cleveland’s craziest cats, whose names are immortalized on the menu as popular sandwiches. Though this former sprout bar has a reputation as a laid-back hippie hang, the truth is that it’s a well-oiled machine. It has to be, considering the near-constant flow of foot and mouth traffic here. And while many erroneously believe that Tommy’s is a vegetarian restaurant, the delicious truth is this place takes care of herbivores, carnivores, and omnivores alike.